VCAT has confirmed 3 year cobalt penalties for father-and-son trainers Lee (r) and Shannon Hope. 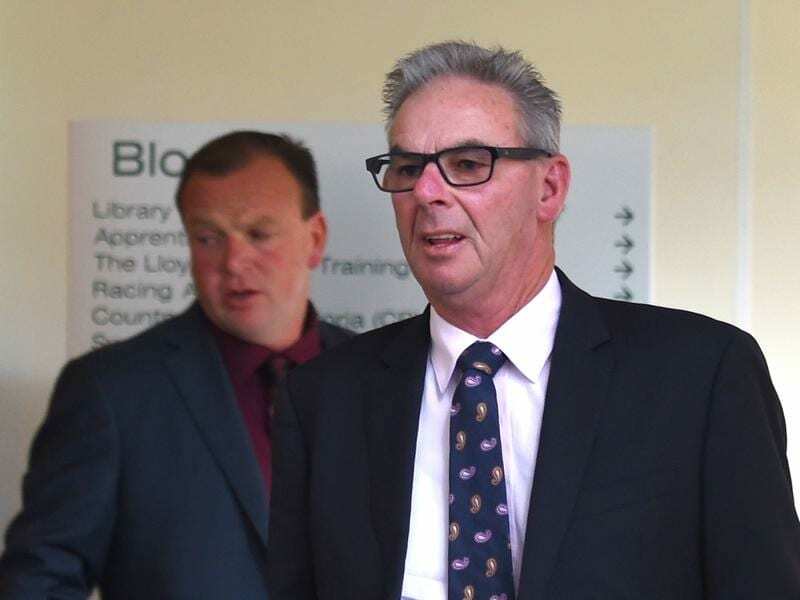 Trainer Shannon Hope has had a reduction in his original penalty but he and his co-trainer father Lee have both been issued three-year disqualifications by the Victorian Civil and Administrative Tribunal on cobalt charges. Shannon Hope was originally disqualified for five years and Lee Hope three by the Racing Appeals and Disciplinary Board after being found guilty of administering, or causing to be administered, a prohibited substance for the purpose of affecting the performance of three horses in races in 2014. The Hopes had Windy Citi Bear, Best Suggestion and Choose return samples above the allowed cobalt threshold and have been training on stays of proceedings pending the outcome of their VCAT appeal since November 2015 when the RAD Board initially handed down its penalty. VCAT found the trainers guilty of the charges in October last year, and Racing Victoria confirmed the penalties in a statement on Tuesday. “Racing Victoria (RV) has been informed by the Victorian Civil and Administrative Tribunal of its decision regarding the penalty imposed on Victorian trainers Lee and Shannon Hope in relation to cobalt charges,” RV said.